This 3 in 1 Mini Combo is perfect unit for those that need to set up indoors during the cold winter months. This Mini Combo is designed to fit in any small space. It will fit inside a house, garage, carport, basement, child care center, or any other confined space. 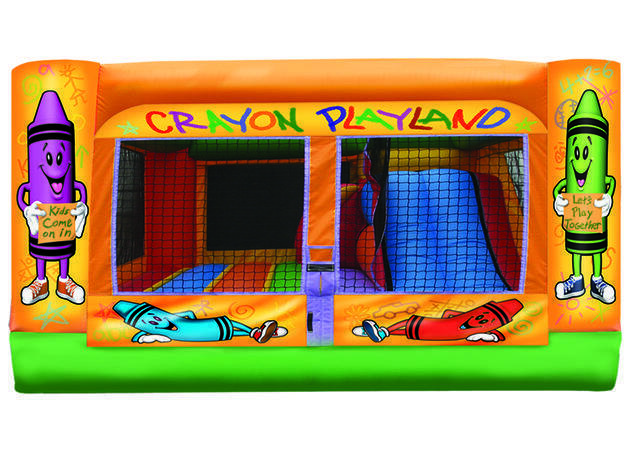 The crayon playland combo has vibrant colors and lots to do with a bouncing area a climbing ladder and slide. This unit is made for the little kids, toddlers up to 7 years old.